Part two in a two-part blog series discussing quantitative easing measures on a domestic and global scale. Part one published last week. Transmission to Main Street has been dubious. Other metrics look either ambiguous or decidedly impressive. Across the U.S., U.K., Eurozone, and Japan, industrial production growth has been significantly more volatile than it was pre-recession; unemployment has fallen, with exception of the Eurozone where it has marched further upward after a double-dip recession in 2013; household saving as a percent of disposable income has come down substantially. Lack of healthy inflation has proven to be the fly in the ointment. Nearly 30 countries have explicitly adopted inflation targeting (around half of those in the last 15 years), but the majority continue to be plagued by nagging disinflation or outright deflation. Consider the poster child Japan who pioneered QE over the 2001-2006 period in its commitment to purchase $3-6 trillion in Japanese government bonds (JGBs) per month until core CPI became “stably above zero.” While the Bank of Japan wrapped up with the program in March 2006 after witnessing year-over-year core CPI in Japan clock in just above zero for three consecutive months, this was more of a mathematical win. Headline inflation over the period picked up solely due to a rapid rise in the price of crude oil, which arguably has little connection to monetary policy. This is not to say that some commentators have not already called for an indefinite deflationary environment, or that QE’s effects on the money supply don’t appear ambiguous. Getting back to using the U.S. as an example, income growth has not followed the drop in unemployment, and inequality has persisted. Annualized growth rates since 2010 have been near zero and well below their long-term averages, and the lack of growth is particularly pronounced in the lower income quintiles. On another front, record-low mortgage rates are undoubtedly a product of QE but have not translated into pre-2008 home buying, even in the presence of rising FICO scores and real home prices that are hovering around their 10-year trailing average. In fairness to QE, though, there simply seems to be a lack of a relationship between the cost of borrowing money to buy a home, and the demand for borrowing that money, as evidenced by the chart below. QE’s efficacy seems to have varied case-by-case, and there is a growing consensus that there are diminishing marginal returns to QE. Of this last point, Japan and the ECB should take note. While the Bank of Japan refrained from expanding its QE program at its meeting this past Friday above the current $670 billion p.a. rate, such expansion remains on the table for its November and December meetings. A similar decision faces the ECB in December, and the rhetoric of ECB President Mario Draghi has been mostly dovish in tone. (The annual rate of asset purchases by the ECB currently stands at about $816 billion.) While both banks will ultimately adhere to their mandates in trying to combat deflation and negative export growth, perhaps expectations should be set low for how effective further QE will be in meeting those mandates. 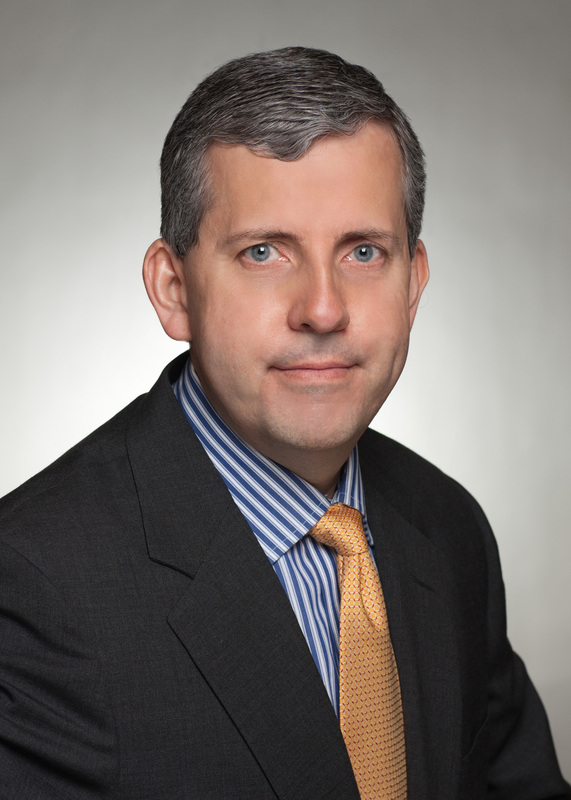 Proponents of real business cycle theory would not be surprised at much of the above—that is, that aggressive monetary policy has failed to override a general shift in appetites for home-buying, tepid supply-glut disinflation, reduced appetite by banks to lend, and the preference by businesses towards doing nothing productive with bond issuance besides repurchasing their own equity. These “exogenous” factors may overpower the stimulatory nature of QE, or the problem may be one of model specification. (Getting back to the home sales/mortgage rate example, QE may do its job of lowering borrowing rates, but this may not ultimately stoke home-buying appetites, which is a failure of the assumed indirect transmission mechanism that underlies QE’s founding.) Whatever the case, while it has helped solve short-run liquidity problems by injecting cash into the financial system, QE has proven sub-optimal in terms of being a cure-all to the woe of general economic lethargy. As we enter into the busiest selling season of the housing market (March – June), we are seeing signs of improvement within the housing industry as a whole. 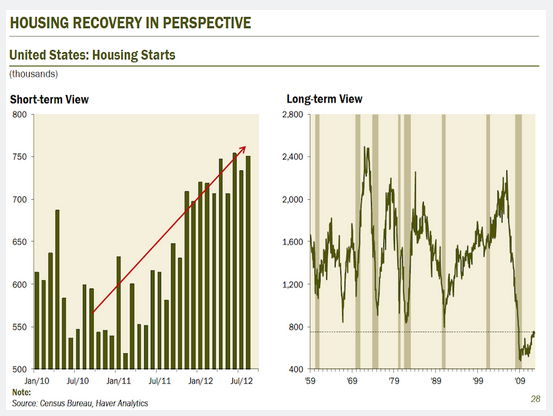 While many believe that the housing market is sustainable, it has not been a “V-shaped” recovery. Instead, it may be a long, slow road as the effects of the 2008 housing crisis are still fresh in everyone’s mind. 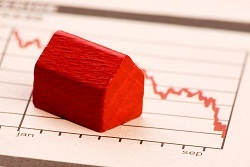 Mortgage delinquency rates are trending down, which is a positive for the economy. Home prices are firming and increasing in some areas. The S&P/Case-Shiller Home Price Index increased +13% over the last 12 months. Overall consumer confidence is increasing, and potential homebuyers are feeling better about buying a home. Pent-up demand–we are well below the average of household formation since the 2008 crisis. Kids are living on the couch versus moving out. What is different with this recovery? Developers are much more strategic than what they were in 2006/2007. They are making purposeful, strategic decisions and are concentrating. Developers are focused on the A-market where the focus is on move-up buyers that are less sensitive to price and who have acceptable credit scores. Within the A-market, developers have flexibility with the price of the home. Slightly higher prices help to drive steady volume, which helps control inventory levels and provides steady work for the construction crews. The slightly higher home prices also give a lift to the developers’ operating margins. Credit is still tight. The average FICO score for approved mortgage loans is 737, well above the 690 average we saw in the 2004-2007 period. Potential homebuyers enter the housing market cautiously. With home prices on the rise again, they have concerns that their newly-purchased home value may fall sharply. 2008 clearly showed the world that there is no guarantee of generating a profit on the investment of a home. That being said, with interest rates at historic lows and with the cost of buying more advantageous than renting, we will see more people tiptoe their way back into the housing market. Does credit remain tight? Currently credit is tight. Wells Fargo* announced on 2/26/14 that they dropped their FICO minimum on FHA Loans to 600; Will other lenders follow Wells Fargo’s lead in lowering FICO minimums? If they do, we may see an increase in potential homebuyers. 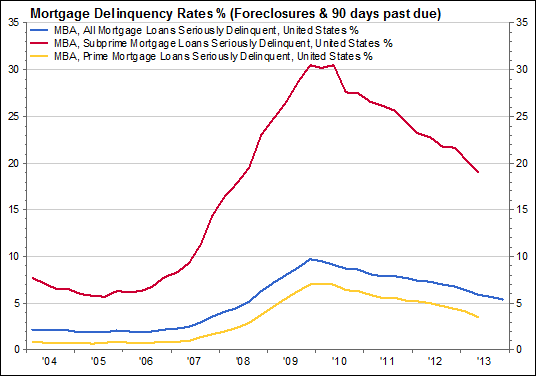 Mortgage delinquency rates. Do they continue to trend down? If so, banks may be willing to lend. Interest rate increase – gradual or sharp? The Housing market can absorb gradual interest rate increases, however; if we see another sharp increase like we did last summer, it will definitely have a negative impact on the housing market as a sharp increase in interest rates creates concern among potential homebuyers. Monthly jobs report is trending up. As employment increases, the perceived pent-up demand will gradually bring more homebuyers to the market. Supply. Housing supply has been low. Will there be an increase in supply for the spring selling season? Will it be met with increased demand to keep prices up? There has been much talk about a recovery in the housing market. Sales have been decent, albeit volatile. Prices have inched higher. 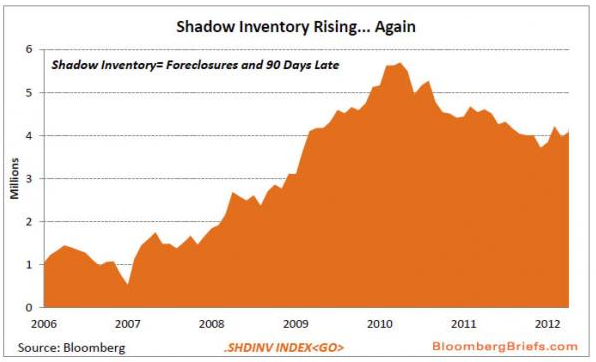 Inventories are down. Homebuilder confidence has improved. The Fed is certainly trying to boost the housing market with their latest mortgage-backed security purchase program. Affordability is at record levels as the 30-year mortgage rate has fallen to 3.4% (bankrate.com). Refinance activity has surged in response but purchase activity hasn’t yet followed. While there are undoubtedly positive signs in the housing market, the chart below from David Rosenberg at Gluskin Sheff puts the recent increase in housing starts into perspective. While starts have increased meaningfully over the last two years, they remain very depressed when you look at historical levels. The demand for housing should slowly improve as employment picks up and the pace of household formation increase. However, despite the recent decline in inventories, the supply side will pick up as well. Potential sellers may be sitting on the sidelines waiting for firmer prices. 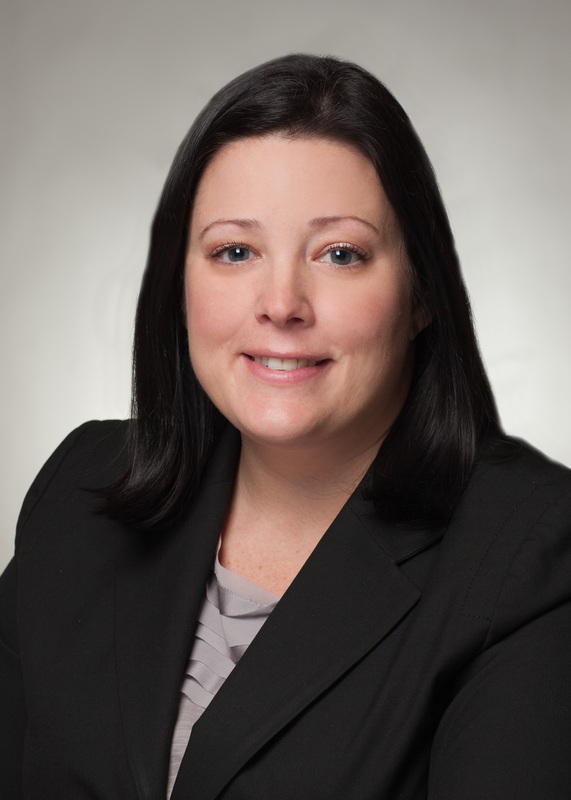 There are also a significant number of delinquent and foreclosed properties – so-called shadow inventory – in the pipeline. We don’t expect a sharp turnaround in housing starts or sales, but any improvement will be an incremental positive to growth after acting as a detractor from growth for some time. 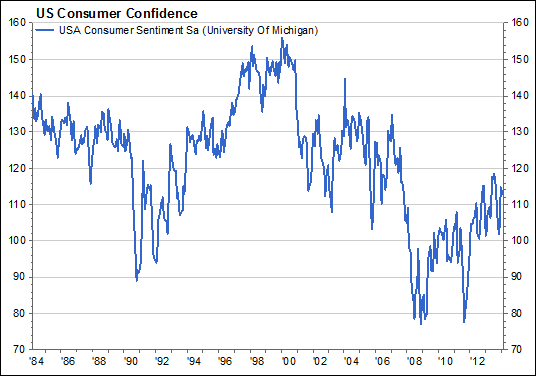 Stabilization in housing prices will also serve as a boost to consumer confidence. For this reason we recently added the improvement in the housing market as one of our positive tailwinds for the U.S. economy, acknowledging this is a long-term view and will likely be played out over many quarters, not months.